Spanish newspaper AS have named three realistic Real Madrid transfer targets. With less than two weeks to go before La Liga’s summer transfer deadline, Real are still yet to replace Cristiano Ronaldo. 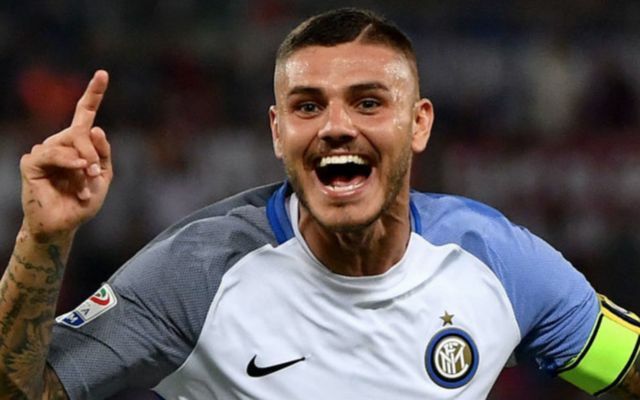 While Kylian Mbappe, Robert Lewandowski, Edinson Cavani and Harry Kane have previously been cited as possible candidates to join Real, AS claim that the trio of Inter Milan’s Mauro Icardi (pictured), RB Leipzig ace Timo Werner and Valencia star Rodrigo are much more practical targets. Furthermore, as reported by the Daily Mail, AS conducted a poll to ask Real fans which of the attainable strikers they would most like to see at the Bernabeu. The result was emphatic, with Icardi claiming 88 per cent of the vote. Twenty-five-year-old Icardi scored 29 goals in 34 Serie A appearances last season, following on from his 24-goal campaign in 2016-17. Germany international Werner, 22, hit 13 goals in 32 Bundesliga games last term and also provided seven assists. Rodrigo, 27, wouldn’t need any time to adjust to La Liga, having netted 16 timed for Valencia last season.